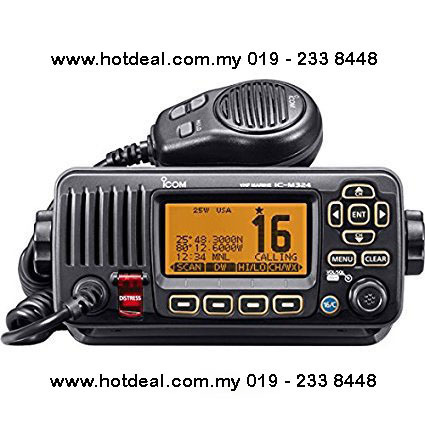 A VHF Marine Transceiver Offering Top Performance and Great Value! The built-in GPS receiver shows your current position and time and can be used for DSC calls. GPS data source is selectable from internal and external GPS (and GPS-OFF setting). The built-in DSC watch function monitors Ch.70 (DSC channel) activity, even while you are receiving another channel. DSC functions include: distress, individual, group, all ships, urgency, safety, position request/report, polling request and DSC test calls.